The polyhedra managing committee and artists lining up for a group photo. The members of this committee are from the Fourth Form of SMK Pendang under the supervision of the teacher-in-charge Ms. Teh Phei Choo. 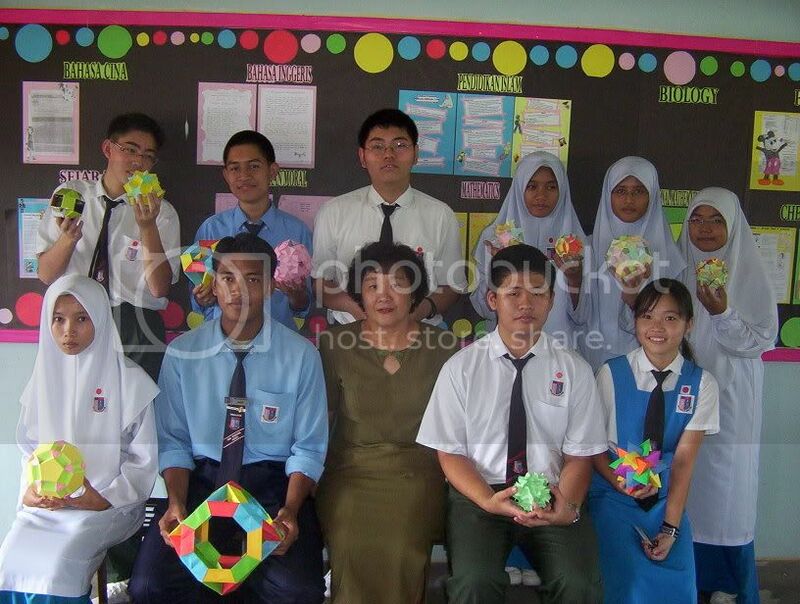 The managing committee have produced, designed and guided the polyhedra team through their endeavours in this year and will continue doing so all the way up to the SPM exam (High School Graduation). These are the top three students who produced the most excellent polyhedra. They are part of the committee in-charge of this project. Jan 30 Confirmation and clearance given to the project committee to pursue this project. The project committee started the Internet search for existing designs and we officially launched the project during a Mathematics Society Extra-ordinary General Meeting (EGM). In this meeting, future artists were identified as well. May 15 We launched the polyhedra project official website but on another web-host. 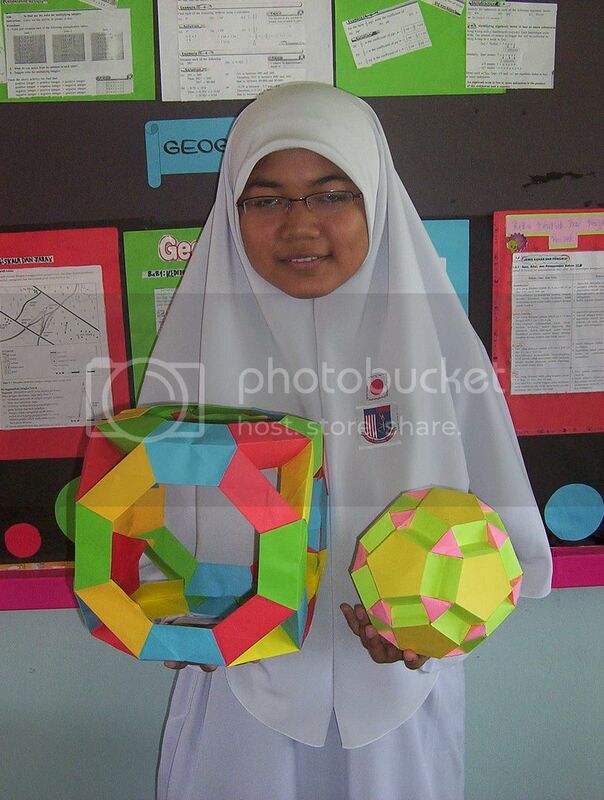 During this period of time, the project committee produced numerous polyhedra. By May 15 the committee and artists have mastered the techniques of production and design of polyhedra. The project grew in size. 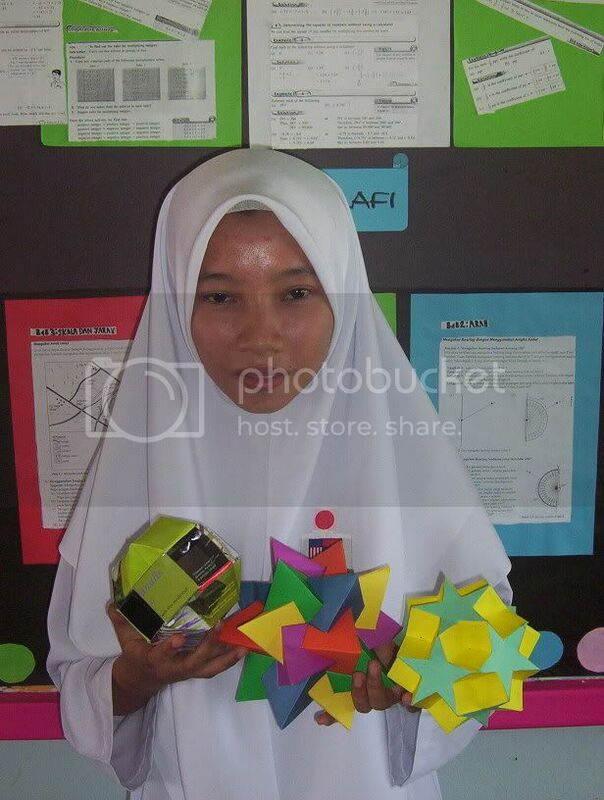 July 10 By July 10, our polyhedra collection rivalled the Origami Architecture collection produced by our seniors. The website is further updated and implanted into the Origami Architecture website on this date. 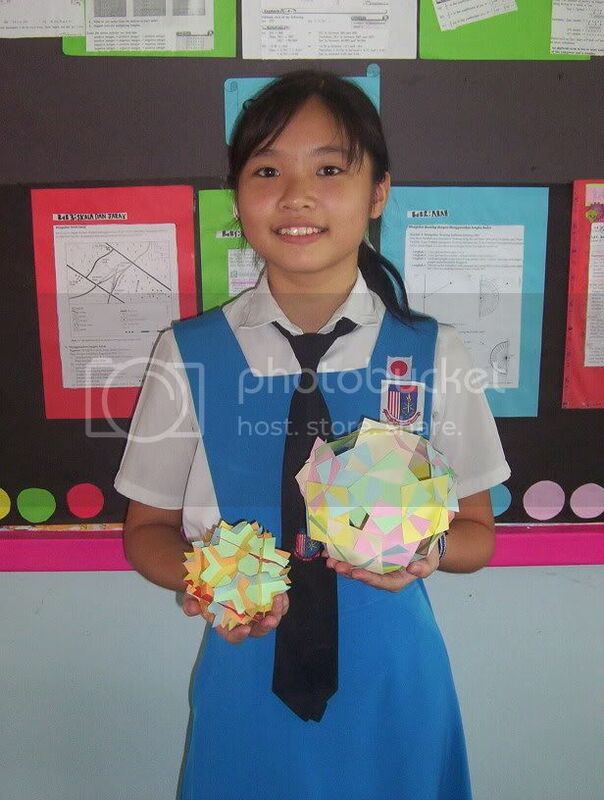 Sept 11 The competition for polyhedra is scheduled to be held on this date.